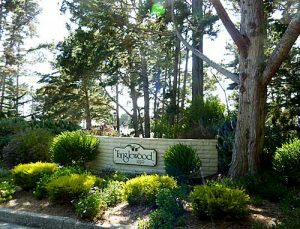 There were 6 sales of these Monterey Skyline Forest Condos last year in 2017. Ranging from $400,000 to $545,000. Higher prices for condos with ocean views and when sold later in the year, or if extensively remodeled. 250 Forest Ridge #59 Sold for $400,000 and closed April 2017 Two bedroom, Two bath, 1193 sq ft.
250 Forest Ridge #28 Sold for $415,000 and closed February 2017. Two bedroom, Two bath, 1059 sq ft.
250 Forest Ridge #32 Sold for $475,000 and closed Sept 2017. 2 bed, 2 bath with great ocean and forest views. 250 Forest Ridge Rd. #6 Sold for $480,000 and closed April 2017. Ocean views and newly painted. 250 Forest Ridge Rd. #34 Sold for $500,000 which was $50,000 above list price! Closed August 2017. Great ocean and forest views. 250 Forest Ridge Rd. #9 Sold for $545,000 and closed Oct. 2017. Great ocean and forest views. Extensive remodel including new plumbing, electrical and heat. Custom tile and floors, new full length windows, designer appliances and more.